Despite finding themselves in a qualifying group that didn’t look hugely intimidating on paper – Poland and Romania looked the chief threats – the Danes made a poor start in their bid to reach Russia. Two defeats in their opening three games, away in Poland and at home to Montenegro, meant they were playing catch-up from the start. An unbeaten run through to the end of the campaign, including a resounding 4-0 win over the Poles in the reverse fixture, wasn’t enough to see Age Hareide’s men overhaul the group leaders, however. They had to settle for a playoff spot against a Republic of Ireland team coached by Martin O’Neill and Roy Keane, and after drawing the opening leg 0-0 in Copenhagen the Danes travelled to Dublin with work to do. As you will read below, though, they got the job done in some style. A match of such potential importance at an early stage of the qualifying campaign – matchday two – did not go to plan for the Danes. Despite enjoying the majority of possession, Denmark struggled to penetrate an organised Polish defence and went into half-time 2-0 down to a brace from Robert Lewandowksi. When Poland’s talisman completed his hat-trick not long into the second half, the game looked dead as a contest. The introductions of Yussuf Poulsen and Pione Sisto gave the visitors more dynamic movement and a greater threat in behind the Poles, and an own goal from Kamil Glik and a Poulsen strike 20 minutes from time gave Denmark hope. They couldn’t find an equaliser, however, and in defeat ceded control of the group to their conquerors. 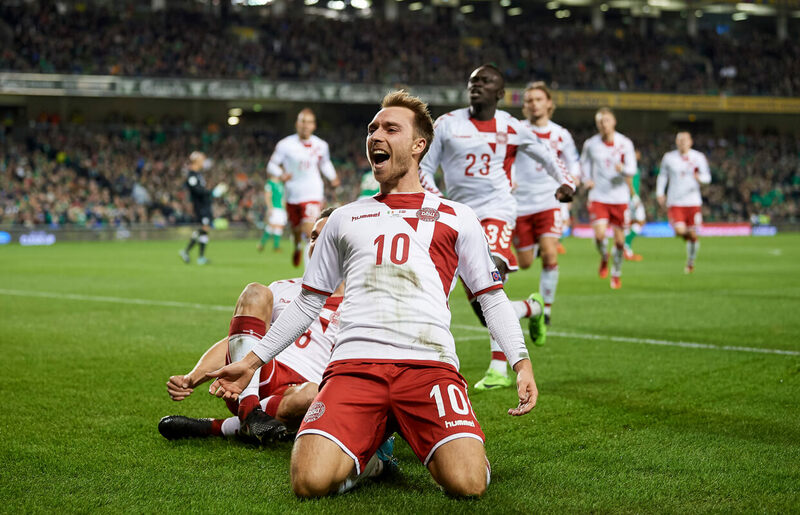 After a tense 0-0 draw in the first leg of the qualification playoff in Denmark, the return proved a much more open contest – but the Danes produced a clinical performance to secure their flights to Russia. The Republic led within six minutes through a Shane Duffy header, but Chelsea defender Andreas Christensen scrambled home an equaliser just before the half-hour and Denmark were ruthless thereafter. Playmaker Christian Eriksen (above) put his team in front with an outstanding finish just three minutes later, and in the second half consistently found himself with time and space to pull the Irish defence apart. The Tottenham midfielder’s superb curled shot just past the hour extended the Danes’ lead, and by the time he lashed home his third 10 minutes later the tie was over. 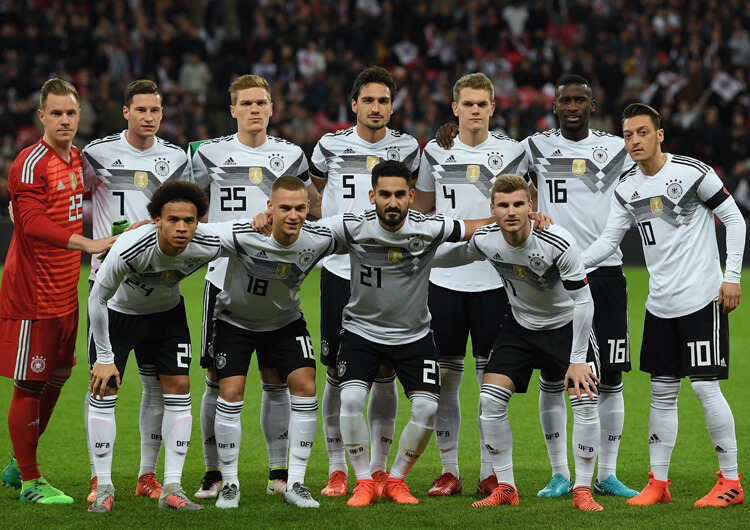 The rout was completed in the final minutes when substitute Nicklas Bendtner, sadly an injury absentee in Russia, converted a penalty he himself had won. Denmark were deservedly at their fifth World Cup. Without a doubt, Eriksen is Denmark’s key player. The creative playmaker was his country’s top scorer in qualifying, with 11, and is crucial to how his side look to create goalscoring opportunities. Well known for his pinpoint passing and deadly delivery, Eriksen can pose a threat to any opposition. The Tottenham midfielder made his debut for the national side as a teenager in 2010, while he was playing his club football for Ajax. After three years in the first team at the famous Dutch club, Eriksen made the switch to north London, where he has become one of Mauricio Pochettino’s key players. Still only 26, he has scored more than 20 goals – including the aforementioned decisive hat-trick against Ireland – in almost 80 appearances for his country. In Russia, we can expect to see Eriksen play every minute of every game for Denmark. He will drift into positions between the lines, even when his team are out of possession so that they can find him quickly upon regain. This is a player who, given time and space, can damage even the strongest defence. The Danish captain (below, left) is a vital part of the side who featured in every game during the qualification campaign, including the two playoff games against the Republic of Ireland. He is a strong defender who also possesses excellent vision and has the passing range to help Denmark build attacks from deep positions. Kjaer began his professional career at FC Midtjylland more than a decade ago but has since plied his trade in Italy (Palermo and Roma), Germany (Wolfsburg), France (Lille) and Turkey (Fenerbahce). He heads for the World Cup on the back of a first season in La Liga with Sevilla. The central defender has made more than 70 appearances for his country since making his debut in a 1-0 win over Sweden in 2009, and is a natural leader at the heart of the defence. The team’s preferred ball-carrier from a deep build, he forms part of a strong Denmark spine that also includes goalkeeper Kasper Schmeichel and playmaker Eriksen. He may be a lesser-known member of the squad to many, but Delaney established himself in the side towards the latter part of the qualification campaign and provides terrific balance as well as energy and intelligence in the centre of the pitch. A tenacious sort, he will be a key player both in and out of possession. The 26-year-old (above, right) made his debut for the national side in 2013 and has since scored four goals – including a qualifying hat-trick against Armenia – from his midfield berth. Having spent almost a decade with FC Copenhagen in Danish football, he moved to the Bundesliga and has just enjoyed a fine debut season with Werder Bremen. In Russia, we can expect to see Delaney all over the pitch: covering his full-backs in defence, running beyond Eriksen in attack and always looking to link defence and midfield. He has a keen eye for spotting pressing triggers and has the awareness to move the ball on quickly upon winning it. He is an ideal midfield partner for the experienced and wonderfully disciplined William Kvist. A Norwegian international who won a half-century of caps over a 10-year spell, Hareide (above) spent two seasons apiece at Manchester City and Norwich in the early 1980s. He has since enjoyed a coaching career spanning more than 30 years and taking in clubs across Scandinavia, where he remains the only coach to have won domestic titles in Sweden (with Helsingborgs and Malmo), Denmark (Brondby) and Norway (Rosenborg). 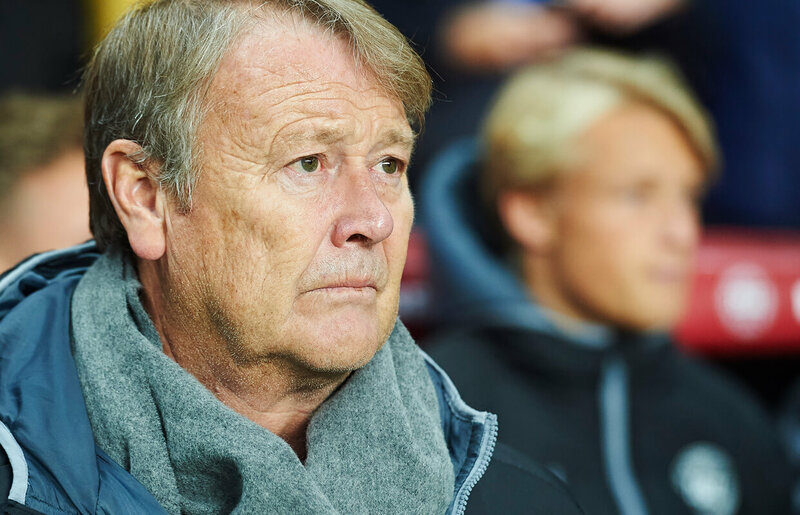 Five years in charge of his native Norway didn’t prove quite as successful, as they qualified for no major tournaments, but the period will have proven invaluable experience as Hareide guided Denmark to this summer’s World Cup. We can expect a pragmatic approach from Hareide in Russia, having kept the national side unbeaten in competitive matches since late 2016. 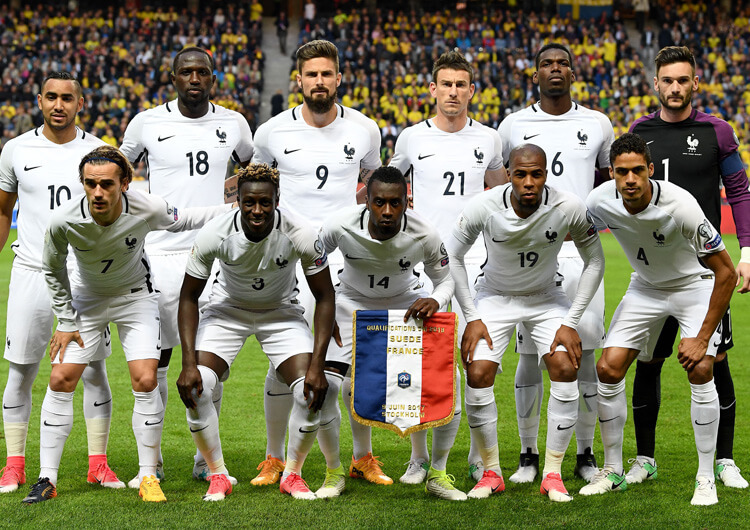 His side will be organised and disciplined, and inevitably look to the creative qualities of Eriksen and physical dynamism of his forwards to create the opportunities they will need to get out of a group also featuring France, Australia and Peru. As their record of nine goals conceded in 12 qualifying games perhaps suggests, Denmark are a team first and foremost set up not to concede. The omission of regular centre-back Andreas Bjelland, while a surprise to some, shouldn’t cause too much disruption – Huddersfield’s Mathias Jorgensen has featured in qualifying and can start alongside Simon Kjaer, with Chelsea’s Andreas Christensen an option at right-back as well as in the middle. Whoever starts alongside captain Kjaer, they are protected by the fantastic awareness and positioning of William Kvist in front of them. This triangle of safety (above, left) is key to Denmark’s structure out of possession, and is only strengthened when the full-backs do not progress up the pitch, or if the second midfielder (usually Thomas Delaney) chooses to hold his position. This side is adept at pressing and will usually lead with a front two out of possession in order to force the opponents into long and/or inaccurate passes, allowing them to pick up the second ball. Their otherwise attacking wingers will often tuck in alongside the two deeper central midfielders to help form two solid, organised blocks of four that are difficult to break down (above, right). Kasper Schmeichel is an experienced and reassuring presence behind them. A well-organised and confident defensive shape can be vulnerable in the defensive transition, when one of the midfield pair is dispossessed and the other cannot recover quickly enough. This can expose the back four to quick and direct attackers, and will be something opposing teams will be keen to exploit in Russia. Denmark are cautious with their attacks and do not take too many risks. 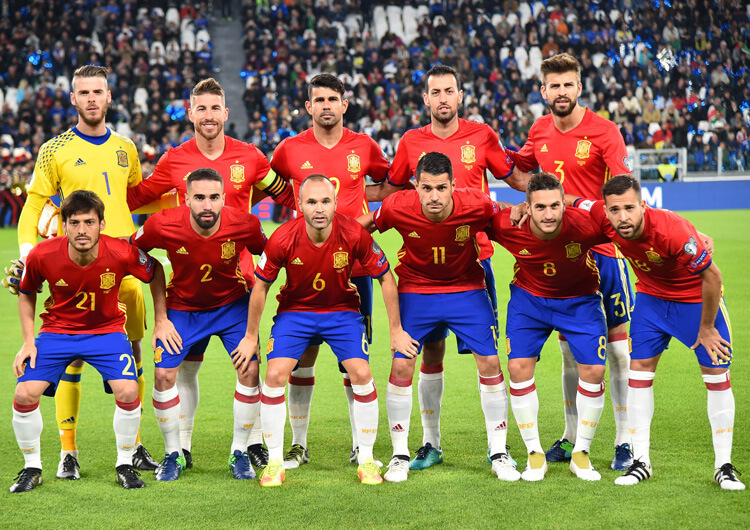 They tend to set up in a 4-2-3-1 formation, with the first two lines being very disciplined and the front four enjoying much more freedom and fluidity to create problems for opposition defences. We can expect to see long passes, both direct and diagonal, from the centre-backs, with Kjaer often the man charged with bringing the ball out from deep. The full-backs will get forward occasionally rather than frequently – their job is to maintain security first and provide attacking support second. The deployment of Kvist in central midfield will be vital. The Copenhagen midfielder is the glue that holds the team together, his holding providing the licence for the likes of Delaney, Eriksen and Sisto to move forward and create in attacking areas. Denmark’s key attacking threats come from crosses from wide and deep areas, mostly through Yussuf Poulsen (above, right) on the right. They are excellent at picking up any second balls from such crosses, with the intelligent Eriksen often the man to benefit (above, left). Finally, watch out for the Danes from set-pieces. They have some physical, aerial threats who relish the chance to get on the end of Eriksen’s superb delivery. Head coach Hareide had settled on a fairly established line-up by the end of the qualifying campaign. Despite the omission of Bjelland at the back, there are options in defence; Huddersfield’s Mathias Jorgensen and Andreas Christensen can both step in to play alongside Simon Kjaer, with Brentford’s Henrik Dalsgaard an alternative to the Chelsea man at right-back. Depth in midfield is a worry. The roles Kvist and Delaney play for Denmark in the centre of the park are such that replacing them might be difficult. Ajax veteran Lasse Schone would be the safest bet, although it is possible that Christian Eriksen may be deployed deeper – as has been the case at times for Tottenham this season. 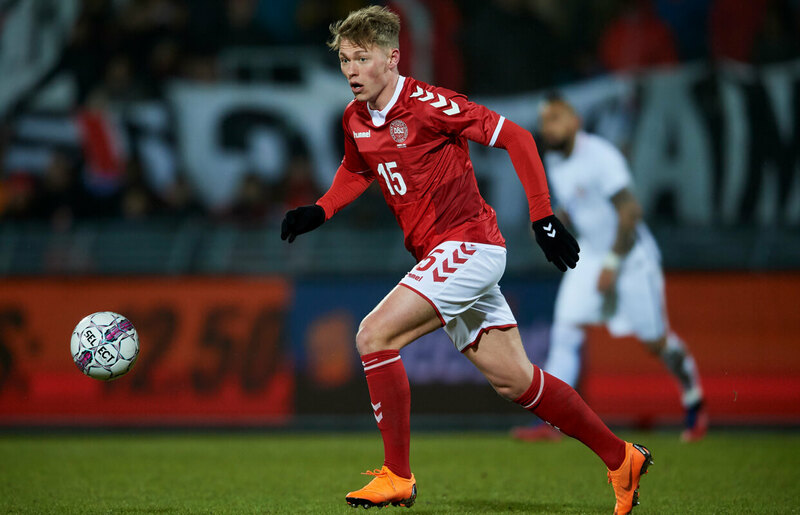 Atalanta target man Andreas Cornelius and Copenhagen striker Viktor Fischer (above) offer different options to likely starter Nicolai Jorgensen in forward positions, but the greatest concern to Denmark would be in the event of injury to Eriksen. Without his guile, creativity and influence, we could expect to see Hareide revert to a flatter and more direct 4-4-2 – this would suit their style of play and complement the attribtues of their players, should the worst happen.